Our ShadSecure doors are fully tested internal security doors suitable for use, for example, as entrance doors to apartments within a residential building (not for external use). 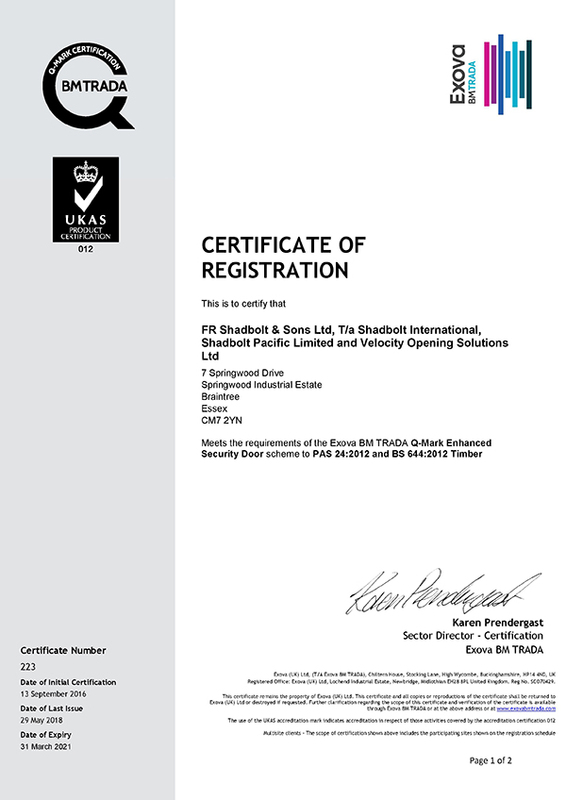 ShadSecure PAS24 doors have been successfully tested to PAS 24 can be used to meet the security requirements of Building Regulations Approved Document Q Security – Dwellings: Requirement Q1: Unauthorised access. Security testing has been carried out on conventionally installed and operable doors. Can also be supplied with up to 60 minutes fire resistance and with acoustic performance. Available as door leaves only or as doorsets. The doors are timber-based and can be matched to other doors in a scheme. Construction is generally similar to Shadcore doors and doorsets. Can be supplied with PVC laminate facings for greater impact resistance. 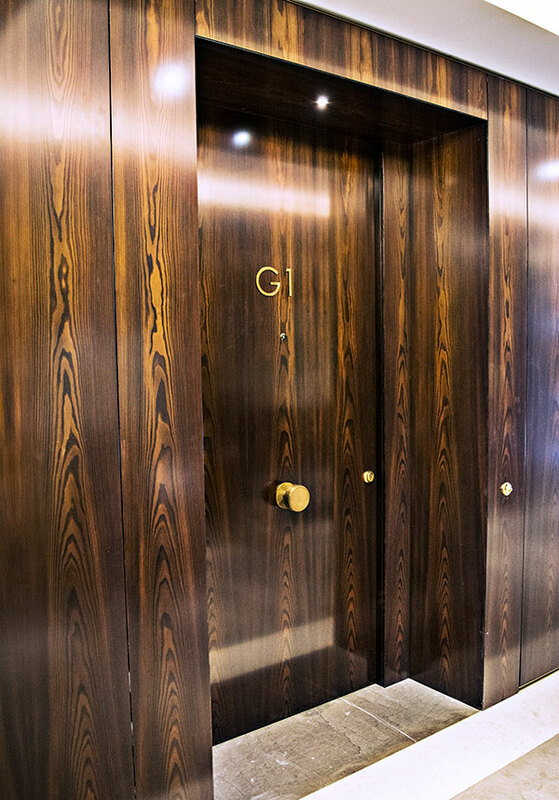 Doors achieve high levels of mechanical performance, strength and dimensional stability. Following a successful programme of testing, we will be launching a new enhanced security product. Further updates will be posted on our website shortly. High density solid chipboard core giving consistent performance and durability without subfacings or internal framing. Doors and doorsets are purpose-made, with considerable freedom to choose from a wide range of finishes. Door frames are also purpose-made; design, profiles and dimensions can be varied to suit specifiers’ requirements, subject to any performance limitations. Frames must be rebated; planted stops are not possible. Shadbolt can also supply assembled and braced subframes with all doors if required. These are accurately made in factory conditions, can be incorporated in the computerised door schedule at an early stage, and provide sufficient tolerances to enable manufacture of doors to proceed before construction of the structural openings. ShadSecure PAS 24 doors can be supplied with essential ironmongery which is supported by relevant test evidence to meet the security requirements of PAS 24. ■ LPS 2081 Issue 1:2015 security rating B. The ironmongery supplier should demonstrate compliance with one or more of these standards; contact Shadbolt technical department if more information is required. ShadSecure doors and doorsets are purpose-made to sizes required. Sizes are validated by independent testing as providing the performance stated. ShadSecure PAS24 security doors have been successfully tested against the standards shown below. Tests were carried out on normally installed and operable doors. PAS 23-1 General performance requirements for door assemblies. Single leaf, external door assemblies to dwellings. Includes tests for: operating forces, resistance to vertical loads, resistance to static torsion, slamming resistance, closure against obstruction, abusive forces on handles, resistance to soft and heavy body impact, resistance to hard body impact, basic security and cyclic operation (opening and closing). PAS 24 Enhanced security performance requirements for door assemblies. Single and double leaf, hinged external door assemblies to dwellings. Includes tests for: manual manipulation, manual infill medium removal, mechanical infill medium removal, mechanical loading, manual check, soft body impact, hard body impact. ShadSecure PAS24 doors have been tested to BS 476: Part 22 in a range of configurations, and can provide 30 minutes or 60 minutes fire resistance (FD30 or FD60). Fire performance is assured by ongoing independent third party certification by BM TRADA or an equivalent approved scheme. 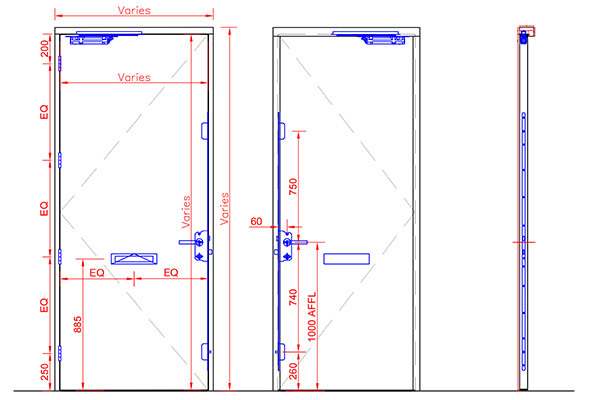 Authoritative assessments can be provided for variations from a tested door design. Where required, doors can be fitted with seals to resist the passage of smoke at ambient temperature. Security doors can be fitted with suitable acoustic seals to achieve significant sound reduction. For more information see Acoustic doors. ShadSecure PAS24 doors can achieve the Severe duty classification, the highest possible, to EN 1192 Doors – Classification of Strength Requirements and EN 1191 Windows and Doors – Resistance to Repeated Opening and Closing. The Severe rating enables the doors to be used in the most demanding applications where they are likely to be subjected to frequent use and abuse. To assist in the specification of Shadbolt security doors, a selection of typical details are available to download below (registered clients only). Shadbolt products are listed within NBS Plus, part of the NBS industry standard specification software used by architects and other construction industry professionals. NBS specification clauses for Shadbolt products have been compiled in collaboration with RIBA Enterprises. These clauses are intended to enable the specifier to clearly identify which Shadbolt product solution is the most suitable for a given application. We have produced a Security Doors brochure to provide an overview of the options available to you with regards to Security Doors from Shadbolt. 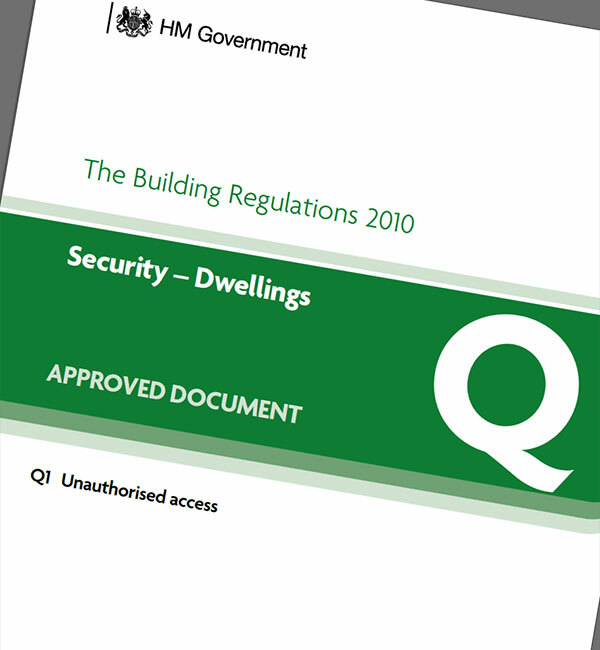 Building Regulations Part Q states that reasonable provision must be made to prevent unauthorised access; this applies only to new dwellings. Additional requirements may apply for the size and design of letter plates if fitted, provision of a door viewer, and a door chain or door limiter (or a suitable entry system where, for example, warden emergency access may be needed). For security purposes Shadbolt are of the view that a door viewer is the most effective means of caller identification.